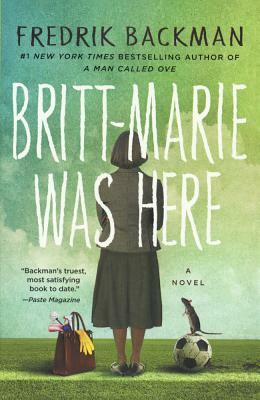 The New York Times bestselling author of A Man Called Ove and My Grandmother Asked Me to Tell You She's Sorry returns with this heartwarming story about a woman rediscovering herself after a personal crisis fans of Backman will find another winner in these pages (Publishers Weekly). Britt-Marie can t stand mess. A disorganized cutlery drawer ranks high on her list of unforgivable sins. She is not one to judge others no matter how ill-mannered, unkempt, or morally suspect they might be. It's just that sometimes people interpret her helpful suggestions as criticisms, which is certainly not her intention. When Britt-Marie walks out on her cheating husband and has to fend for herself in the miserable backwater town of Borg of which the kindest thing one can say is that it has a road going through it she finds work as the caretaker of a soon-to-be demolished recreation center. The fastidious Britt-Marie soon finds herself being drawn into the daily doings of her fellow citizens, an odd assortment of miscreants, drunkards, layabouts. Most alarming of all, she's given the impossible task of leading the supremely untalented children's soccer team to victory. In this small town of misfits, can Britt-Marie find a place where she truly belongs?